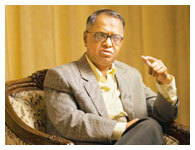 Nagavara Ramarao Narayana Murthybetter known as N. R. Narayana Murthy, is an Indian businessman and a software engineer. 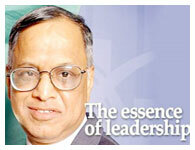 He is the founder and currently the non-executive Chairman and Chief Mentor of Infosys Technologies Limited. 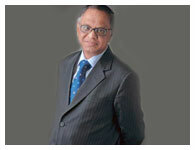 Murthy currently serves as an independent director on the boards of DBS Bank, HSBC and Unilever. 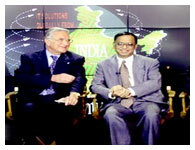 He also serves on the boards of the Ford Foundation, UN Foundation, Indo-British Partnership, and NDTV. He is a present member of the Advisory Boards and Councils of the Stanford Graduate School of Business, the Corporate Governance initiative at the Harvard Business School, Indian School of Business, Cornell University committee on academic affairs and committee on alumni affairs and development, Yale University and the University of Tokyo’s President's Council. 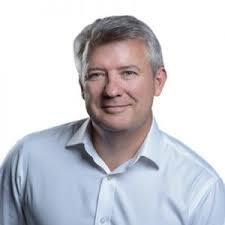 He is a member of the Board of Directors of INSEAD, Board of Overseers of the Wharton School of the University of Pennsylvania, Singapore Management University, Board of Trustees and the Board of Advisors for the William F. Achtmeyer Center for Global Leadership at the Tuck School of Business, Asian Institute of Management (AIM), Board of Members of School of Management at Asian Institute of Technology (AIT), Asia Business Council and Business Advisory Council of Great Lakes Institute of Management and International Institute of Information Technology - Bangalore. He also serves as a director of the Central Board of the Reserve Bank of India and as Co-Chairman of the Plc. He is a member of the Prime Minister of India's council on trade and industry and is a member of the Asia Advisory Board of the British Telecommunications. In August 2004, TIME magazine’s listed him under “Global Tech Influentials” as one of the ten leaders who are helping shape the future of technology. In November 2006, TIME magazine again voted him as one of the Asian heroes who have brought about revolutionary changes in Asia in the last 60 years. Born into a Kannada Madhwa Brahmin family in Mysore, India on August 20, 1946, in Sidlaghatta near Muddenahalli (Birth place of Sir M Vishveshwarya), Murthy graduated with a degree in electrical engineering from the National Institute of Engineering, University of Mysore in 1967 after attending government school, and received his master's degree from IIT Kanpur in 1969. 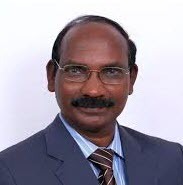 His first position was at IIM Ahmedabad as chief systems programmer where he worked on a time-sharing system and designed and implemented a BASIC interpreter for ECIL (Electronics Corporation of India Limited). 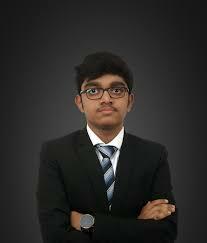 After IIM Ahmedabad, he then joined Patni Computer Systems in Pune. Before moving to Mumbai, Murthy met his wife Sudha Murthy in Pune who at the time was an engineer working at Tata Engineering and Locomotive Co. Ltd. (Telco, now known as Tata Motors) in Pune. In 1981, with an investment of Rs.10,000 ($250 at the time) from his wife, he founded Infosys with six other software professionals. 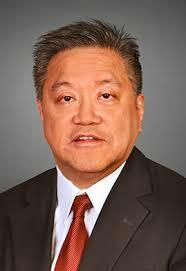 He served as chairman of the National Association of Software and Service Companies from 1992 to 1994. Mr. Murthy is the brother-in-law of serial entrepreneur Gururaj "Desh" Deshpande and the uncle of former NASSCOM Chairman and MphasiS chief Jerry Rao. Murthy founded Infosys in 1981 in Pune with an initial capital of US $250, most of which was borrowed from his wife Sudha Murty. At its inception, he invited six other engineers to join the company. 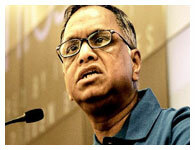 Murthy served as the founder CEO of Infosys for 21 years, and was succeeded by co-founder Nandan Nilekani in March 2002. At Infosys he articulated, designed and implemented the Global Delivery Model which has become the foundation for the huge success in IT services outsourcing from India. He also lead the company through several key decisions including its listing on the Indian stock exchange and the listing on NASDAQ,. 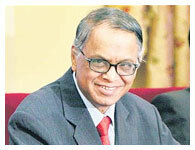 Murthy retired from his executive position at Infosys on 20 August 2006. However, he continues as the Non-Executive Chairman of the board. Murthy started a new venture capital fund called Catamaran Venture Fund with the money he got by selling 800,000 Infosys shares worth 174 Crores. Sudha Murthy does it again by helping him in setting up his VC Fund by giving him Rs.430 crores which she got by selling quarter of her stake 1.6% in Infosys. 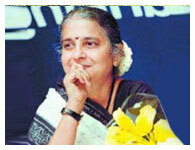 His wife, Sudha Murthy née Kulkarni, is an Indian social worker and accomplished author. She is known for her philanthropic work through the Infosys Foundation. Her sister, Jayashree Despande is wife of enterpreneur and founder of US-based Sycamore Networks, Gururaj Deshpande. 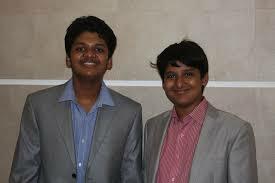 They have two children - Rohan and Akshata. Rohan is engaged to Venu Srinivasan's (of TVS motors) daughter Lakshmi Venu. 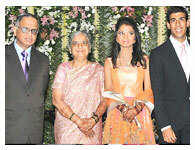 Akshata Murthy is married to Rishi Sunak. It’s Bangalore’s wedding of the year—Akshata Murty, the daughter of Infosys co-founder N.R. 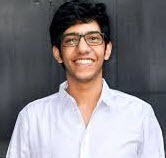 Narayana Murthy, and Rishi Sunak, her classmate from Stanford Business School. The Leela Palace was choc-a-block with the nattily turned out venerables. The lavish spread was traditional south Indian amid the coconuts fronds woven with flowers and banana trees that added the perfect touch to the afternoon. SHARING EXPERIENCE: Chief Mentor of Infosys Technologies N.R. 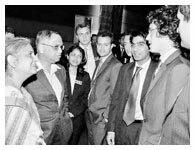 Narayana Murthy and his wife Sudha Murthy, chairperson of Infosys Foundation, with students from Stanford Graduate School of Business on the Infosys campus in Bangalore. United States National Academy of Engineering. Indian Institute of Technology Kanpur. All India Management Association (AIMA). 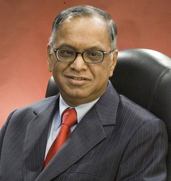 2005: In December 2005, Narayana Murthy was voted as the 7th most admired CEO/Chairman in the world in a global study conducted by Burson-Marsteller with the Economist Intelligence Unit . The Economist ranked him 8th among the top 15 most admired global leaders (2005). He was ranked 28th among the world's most-respected business leaders by the Financial Times (2005). He topped the Economic Times Corporate Dossier list of India's most powerful CEOs for two consecutive years – 2004 and 2005. 2001: He was named by TIME / CNN as one of the twenty-five, most influential global executives, a group selected for their lasting influence in creating new industries and reshaping markets. 1999: BusinessWeek named him one of the nine entrepreneurs of the year and he was also featured in the BusinessWeek's 'The Stars of Asia' (for three successive years - 1998, 1999 and 2000). “A clear conscience is the softest pillow in the world." N. R. Narayana Murthy is the Founder-Chairman of Infosys Technologies Limited, a global software consulting company headquartered in Bangalore, India. 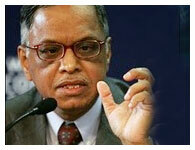 He founded Infosys in 1981. 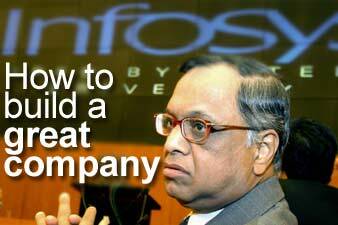 Under his leadership, Infosys was listed on NASDAQ in 1999. 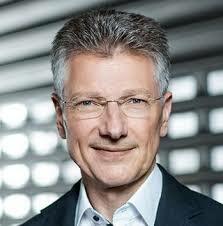 He serves on the boards of HSBC, Ford Foundation and the UN Foundation. 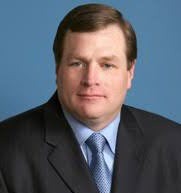 He served as a member of the Unilever board between 2007 and 2010. He also serves on the boards of Cornell University, Wharton School, Singapore Management University, Indian School of Business, Hyderabad, International Institute of Information Technology, Bangalore, and INSEAD. 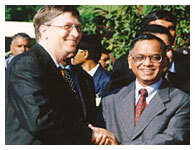 The Economist ranked Narayana Murthy among the ten most admired global business leaders in 2005. 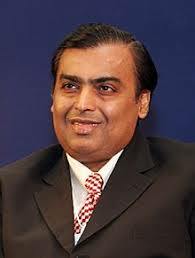 He topped the Economic Times list of India’s most powerful CEOs for three consecutive years: 2004 to 2006. He has been awarded the Padma Vibhushan by the Government of India, the Legion d’honneur by the Government of France, and the CBE by the British government. 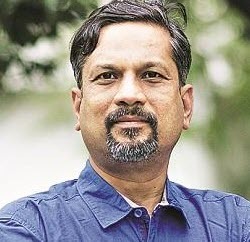 He is the first Indian winner of Ernst and Young’s World Entrepreneur of the year award and the Max Schmidheiny Liberty prize, and has appeared in the rankings of businessmen and innovators published by India Today, Business Standard, Forbes, BusinessWeek, Time, CNN, Fortune, and Financial Times. He is a Fellow of the Indian National Academy of Engineering and a foreign member of the US National Academy of Engineering. I thank Dean Cooley and Prof Marti Subrahmanyam for their kind invitation. I am exhilarated to be part of such a joyous occasion. Congratulations to you, the class of 2007, on completing an important milestone in your life journey.After some thought, I have decided to share with you some of my life lessons. I learned these lessons in the context of my early career struggles, a life lived under the influence of sometimes unplanned events which were the crucibles that tempered my character and reshaped my future. The first event occurred when I was a graduate student in Control Theory at IIT, Kanpur, in India. At breakfast on a bright Sunday morning in 1968, I had a chance encounter with a famous computer scientist on sabbatical from a well-known US university. I had lost all hope of ever seeing the outside world again, when the door opened. I was again dragged out unceremoniously, locked up in the guard's compartment on a departing freight train and told that I would be released 20 hours later upon reaching Istanbul. The guard's final words still ring in my ears -- "You are from a friendly country called India and that is why we are letting you go!" 4. The fourth theme is a cornerstone of the Indian spiritual tradition: self-knowledge. Indeed, the highest form of knowledge, it is said, is self-knowledge. I believe this greater awareness and knowledge of oneself is what ultimately helps develop a more grounded belief in oneself, courage, determination, and, above all, humility, all qualities which enable one to wear one's success with dignity and grace. Infosys Technologies is one of the few Indian companies that has changed the way the world looks at India. No longer is India a land of snake charmers and beggars. It is now perceived as an economic giant to reckon with, bursting with brilliant software engineers and ambitious entrepreneurs. And Infosys is an symbol of India's information technology glory. Infosys has many firsts to its name: The first Indian firm to list on Nasdaq; the first to offer stock options to its employees. . . The company crossed $1 billion in revenues for the first time in 2004. TCS, however, was the first Indian IT firm to top $1-bn in revenues. Infosys is an organisation that inspires awe and respect, globally. On July 2, Infosys completed 25 years in existence. This is its amazing success story, illustrated by rare photographs. 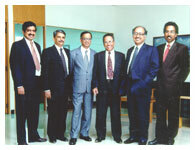 S Gopalakrishnan, N R Narayana Murthy, K Dinesh, N S Raghavan and S D Shibulal. What was the company's starting capital? US $250. 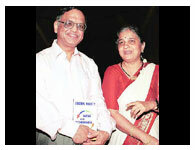 Murthy borrowed $250 from his wife Sudha to start the company. 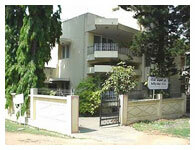 The front room of Murthy's home was Infosys' first office, although the registered office was Raghavan's home. 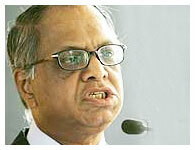 Who were Murthy's six friends who joined hands to launch Infosys? Murthy is currently chief mentor and chairman while Nilekani is the chief executive officer and managing director. Gopalakrishnan, Shibulal and Dinesh are directors. 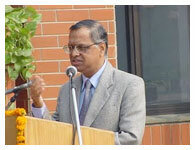 Raghavan retired as joint managing director in 2000. He is currently the chairman of the advisory council of the N S Raghavan Centre for Entrepreneurial Learning at the Indian Institute of Management, Bangalore. Ashok Arora worked for the company till 1988 and left after selling his shares in the then unlisted company back to the other promoters. He moved to the United States where he now works as a consultant. 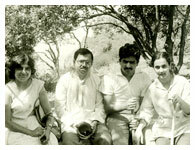 (Left to right) Sudha Murthy, N R Narayana Murthy, Nandan Nilekani and Rohini Nilekani, a journalist at Bombay magazine before their wedding, at a picnic near Bangalore in the early 1980s. An excerpt from Sudha Murthy's reminiscences. 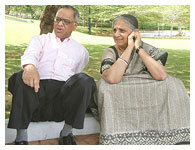 She is the wife of Infosys founder N R Narayana Murthy. In 1981, it was Murthy's idea to start Infosys. Murthy had a dream, and no money. So Sudha gave him Rs 10,000, which she had saved without his knowledge. 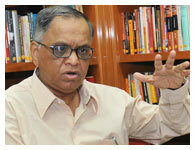 Murthy and his six colleagues started Infosys in 1981. 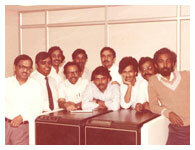 In 1983, Infosys moved to Bangalore when it got its first client, Data Basics Corporation from the United States. The first mini computer arrived at Infosys in 1983. It was a Data General 32-bit MV8000. The very next year Infosys switched from mini to main frames with a CAMP application for a Data Basics customer. 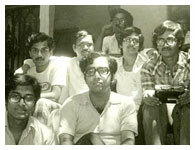 Narayana Murthy (middle row, second from left), S D Shibulal (top row, left) and Nandan Nilekani (top row, extreme right, partly hidden) with friends at picnic near Bangalore, early 1980s. When they began moving ahead with Infosys, the founders -- Murthy, Nilekani, Shibulal and the others -- took a firm decision -- that their wives would not be involved in the running of the company. So after Murthy, it was Nilekani and his wife Rohini who moved to Bangalore. But they had no house to stay. So the Nilekanis stayed with the Murthys at their Jayanagar home in Bangalore. 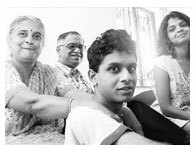 Rohini took care of Murthy's son as Sudha helped write software programmes for Infosys. There was no luxury, only struggle, day and night. They had no car, no phone. Murthy later recalled that it was not the luxuries of life, but the passion to create something new and innovative that made them keep going on and on and on. Despite the struggles, the Murthys, the Nilekanis and the other partners took time out for picnics in Bangalore. The first years of Infosys were not smooth. Most of the founders -- Murthy, Nilekani, Dinesh, Shibulal and Gopalkrishnan -- were into writing codes. And they wanted to make an impact in the American market. So Infosys got its first joint venture partners in Kurt Salmon Associates. Gopalakrishnan, who had spent time working in the United States, was the public face of the KSA-Infosys venture in America. But the joint venture collapsed in 1989, leaving Infosys in the lurch. Gopalakrishnan relives the memories of those days. "We had nothing after eight years of trying to bring up a company. Those who studied with us had cars and houses," he says. The collapse of the KSA joint venture led Infosys to its first crisis. The company was on the verge of collapse. 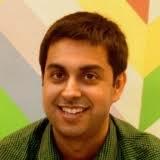 One of the founder-partners -- Ashok Arora -- was dejected with the way the company was going, and decided to quit. The others did not know what to do. But Murthy had the courage of conviction. 'If you all want to leave, you can. But I am going to stick (with it) and make it,' Murthy told them. The other partners -- Nilekani, Gopalakrishnan, Shibulal, Dinesh and Raghavan -- decided to stay. And thus began to germinate the seeds of Infosys' enormous growth. 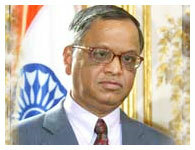 N R Narayana Murthy in New York to sign an agreement with American Express. How? The initial foray of Infosys into the US market was through a company called Data Basics Corp as a 'body-shop' or on-site developer of software for US customers. 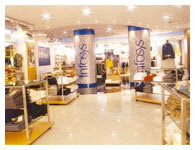 Later, Infosys formed a joint venture with Kurt Salmon Associates to handle marketing in the United States. Even today, Infosys derives about two-thirds of its revenue from the United States, serving corporate clients like Reebok, Visa, Boeing, Cisco Systems, Nordstrom and New York Life. Infosys is the largest publicly traded IT services exporter in India, providing services to 315 large corporations, such as GE and Nortel, predominantly in the USA. 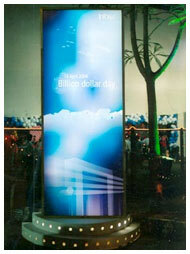 It was the first Indian company to list on the Nasdaq stock exchange in 1999. Infosys Technologies (Shanghai) Company Limited: The company's base in China. Infosys Australia Pty Ltd: Infosys' Australian venture. Infosys Consulting Inc: The company's foray into the consulting business. 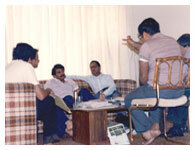 The early Infosys team brainstorming at Murthy's home in Bangalore, early 1980s. Now, it's a global IT giant! Today, Infosys provides consulting and IT services to clients globally. It uses a low-risk, global delivery model to accelerate schedules with a high degree of time and cost predictability. The company has over 53,000 employees worldwide. The Infosys corporate headquarters is located in Bangalore. Its US headquarters is in Fremont, California. Infosys has office across the globe: Atlanta, Bangalore, Beijing, Bellevue, Bridgewater, Bhubaneswar, Brussels, Charlotte, Chennai, Detroit, Frankfurt, Fremont, Hong Kong, Hyderabad, Lake Forest, Lisle, London, Mangalore, Mauritius, Melbourne, Milano, Mohali, Mumbai, Mysore, New Delhi, Paris, Phoenix, Plano, Pune, Quincy, Reston, Shanghai, Sharjah, Stockholm, Stuttgart, Sydney, Thiruvananthapuram, Tokyo, Toronto, Utrecht, Zurich. CEO Nandan Nilekani spent a lot of his time writing software code in the company's early days. Today, Infosys is India's second largest software exporter. It now enjoys a strong liquidity position with over Rs 6,000 crore (Rs 60 billion) in assets, including surplus cash. The Infosys campus in Bangalore. 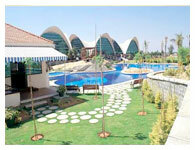 The sprawling Infosys campus in Bangalore is the symbol of India's infotech growth. These are the tenets that have helped India's largest software company grow into a well respected organisation. From 'Best Corporate House' to 'Best Employer,' the software major has won hundreds of accolades during its 23-year-old existence. Recently, the American Society for Training and Development has rated Indian IT major Infosys Technologies Ltd as the world's best in employee training and development. Infosys provides consulting and IT services to clients globally from its impressive development centres in Bangalore and Mysore. (Above) The Corporate Block-- also called the Customer Care Center -- at the Bangalore development centre, houses 8 conference rooms for the use of customers. 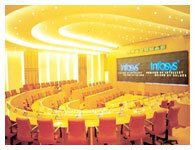 The ground floor has a large conference room with the capacity to seat a 100 people, and the largest video wall in Asia. It also houses an experience theatre, which explains the history of software, talks about the Infosys story and what customers think about working with Infosys. Infosys uses a low-risk global delivery model to accelerate schedules with a high degree of time and cost predictability. The company's headquarters are in Bangalore, but its footprints can be found across the globe: Fremont, California (the US headquarters), Argentina, Australia, Belgium, Canada, France, Germany, Hong Kong, Japan, the Netherlands, Singapore, Sweden, Switzerland, United Kingdom, and United Arab Emirates. 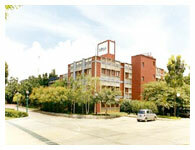 A view of the Education & Research block, 1,15,000 sq. ft. in size includes a library of 30,000 sq. ft; class rooms to seat 200 people at one time and labs to seat 150 people. This entire complex can train 1000 software engineers at a given time. Once again this is reputedly the single largest location training / education center for a software services company, in the world. N R Narayana Murthy is the founder, Chairman and Chief Mentor of Infosys, while Nandan M Nilekani is the company's Managing Director, President and CEO. Infosys already has almost 28,000 employees worldwide and it plans to hire another 10,000 more during this fiscal year. Most of the strategies of the company are finalised at its development centre in Bangalore. The room, at the Bangalore development centre, where the Infosys brains conceptualise their global strategies. The swimming pool at Infosys's development centre in Bangalore. 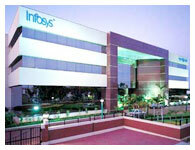 Infosys is one of the 8 Indian companies to figure among the top 1,000 companies listed by BusinessWeek magazine. Infosys is ranked 727th with a market capitalization of $7.61 billion). 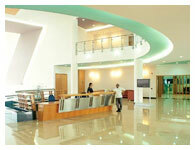 The lobby of Infosys's development centre in Mysore. The software major posted a net profit of Rs 394.47 crore (Rs 3.944 billion) for the quarter ended June 30, 2004 as compared to Rs 278.12 crore (Rs 2.781 billion) for the first quarter ended June 30, 2003. The company's total income increased from Rs 1,114. 42 crore (Rs 11.144 billion) in the Q1 2003 to Rs 1,489.38 crore (Rs 14.893 billion) in the quarter ended June 30, 2004. 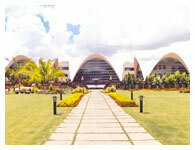 A view of Infosys's Mysore development centre. Infosys is second, after Tata Consultancy Services, among the Top 20 IT Software and Service exporters in India, according to the National Association of Software and Services Companies. Wipro, Satyam, HCL Technologies, Patni Computer Systems, iFlex Solutions, Mahindra British Telecom, Polaris Software and Digital Globalsoft Ltd, make up the top 10. The oldest building on its Bangalore campus, Infosys's 'Heritage Building' sports a distinctly different feel and architecture. 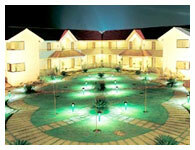 Completed in 1994, spread over 5 acres of land it has a built up area of 150,000 sq. ft. The company has launched a 'campus connect' campaign which aims at improving the quality of graduates from engineering colleges in the country to coincide with IT industry requirements. Infosys has committed Rs 10 crore (Rs 100 million) for Campus Connect in the first phase for training students, faculty and providing industry inputs into the curricula for 30 engineering colleges across the country. The Food Court at the Bangalore centre is an hyperbolic parabola, designed on the lines of the Sydney Harbor Opera House. Around 4000 quadratic equations were crunched to get the structure right. It houses three food courts and a gymnasium, a clothing store, a bank and other facilities for the employees. Infosys chief N R Narayana Murthy feels that the infrastructure problems plaguing Bangalore can be solved through a government-industry partnership. His comments follow Wipro Chairman Azim Premji's hint that Wipro may move out of the city due to its bad infrastructure. Murthy admits that the Bangalore's roads and traffic are bad and need to be addressed soon, but says: "A couple of years ago, it took three hours to reach the Electronic City from the city. Then, the government and industry solved the problem." 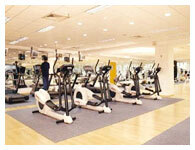 The Infosys gym at its Bangalore centre is one of Asia's largest where most of the Infosys employees work out after office hours and on weekends. Other facilities include pool / snooker tables and dartboards apart from a swimming pool, a sauna and a Jacuzzi. Infosys is a fun place to work in. 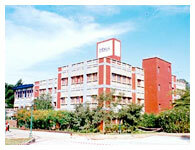 Infosys set up a centre in the Bhavani block of the Technopark campus in Thiruvanthapuram in Kerala in 2003. Besides its Bangalore and Mysore centres, the company also has development centres at Mangalore, Mohai, Pune, Hyderabad, Bhubaneswar in India. A $1-BILLION GIANT: On April 13, Infosys Technologies Ltd, India's information technology services giant, touched $1 billion in annual revenues for the first time. Which meant it was time to party. 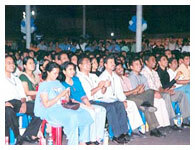 To celebrate the landmark achievement, Infosys had a huge bash on its campus. It was an evening of fun and dance and a time to reiterate the feeling of being just the second Indian IT services company to do so (since then, Wipro too has joined the elite billion-dollar club). Last year, the Mumbai-based Tata Consultancy Services announced that it had touched the billion-dollar mark in revenues. Infosys's revenues of $1.06 billion came at a 31 per cent growth over the previous year, while profits rose to $285 million, an increase of 30 per cent. "Today, we have the required size, brand, compelling value proposition and ambition to build the next generation software services and consulting company," declared Infosys COO S Gopalakrishnan proudly while announcing the results. 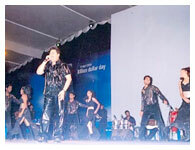 A BASH TO REMEMBER: Infosys pulled out all the stops to make sure this would be a party to remember. The invite -- in shades of yellow, asking the recipient to join the 'Billion Dollar Day' celebration -- went out to not just employees, but also customers, shareholders, ex-Infoscions, corporate leaders and the media. A special moment was also planned as Infosys's very first international customer, Donn Liles, President of Data Basics Corp also joined the celebrations. INFY'S HAPPY, AND GROWING, TRIBE: Infosys has over 25,634 employees today. Many turned up in T-shirts in the colour of the company -- light blue -- to celebrate. They had every reason to. Apart from the company's milestone, Infosys made sure that its employees too were rewarded. The company decided to give a one-time bonus of $1,000 to each employee along with a specially designed Titan watch, which shows world time and a T-shirt with a billion-dollar-mark logo. Last year alone, Infosys added 11,900 employees, and the average age of an employee at Infosys is 26. Analysts say that they are confident that Infosys can manage its growing flock. "The business model and the management are capable of handling these issues. Infosys has proven that it can handle large-scale employee training and retention issues," says an analyst with a Mumbai-based equity research firm. THE MEN WHO DARED TO DREAM: Infosys is run by a rather close-knit team whose most public face is co-founder and chairman of the company, N R Narayana Murthy. The Infosys legend is by now well known. 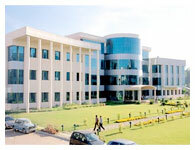 Murthy and five others, who worked together at Patni Computers in Pune, decided to form Infosys in 1981. Each member of the team brings a specific and rather diverse skill set to the company. S Gopalakrishnan, the deputy managing director and the chief operating officer, is seen as the technical brain, while Murthy is the strategist and the public face of the company. Nandan Nilekani is the managing director and chief executive officer and in the last three years has been groomed by Murthy to become the public face of the company. Another key member is T V Mohandas Pai who is the director of finance and administration and chief financial officer of Infosys. 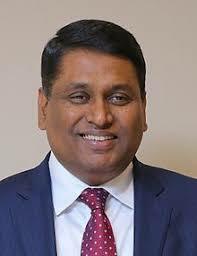 He joined Infosys in 1994 and was a member of the committee which formulated and instituted the guidelines for the employee stock option plan for the first time in India. Infosys's strong management team is seen as its biggest strength. Analysts say it is the reason why the company has been able to stay ahead of its peers and grow consistently. YOU AIN'T SEEN NOTHIN' YET: Clearly, Infosys is on a roll In its guidance for the forthcoming fiscal, Infosys has forecast that revenues would rise 30-31 per cent and earnings by around 27 per cent. The aggressive forecast, say analysts, is a sign that the company is not deterred by the recent protests against outsourcing that have swept the United States and that its growth cannot be rolled back by market disruptions. Infosys expects growth in the future to come from not just scaling the existing business, but also nurturing the business process outsourcing subsidiary of the company, Progeon, apart from the newly set up US arm, Infosys Consulting. "Infosys is becoming a monolith, a juggernaut. There's nothing that can possibly go wrong for it in the future. Last fiscal year was the toughest to get through and if they got through that so well, they can get through anything. There is no void or flaws in their revenue model for anyone to pick into," says R Ravi, an analyst with IDBI Capital. India's software giant Infosys Technologies Limited has entered its 25th year of existence. In these 25 years, the company has scaled many a peak, making the nation proud of it. 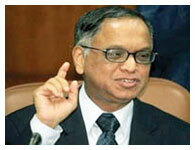 N R Narayana Murthy, Chairman, Infosys , however, has plans to turn the company into a bigger, stronger, and global player. At an analysts' meet, held to mark the silver jubilee celebrations of Infosys in Hyderabad, Murthy spoke about his future for the company. Here's the speech that he delivered. We start our 25th year celebrations today. It is indeed laudable that we have run this marathon so far. Several happy thoughts come to my mind as I stand here. But, the most important one is our meeting in January 1981. 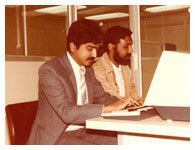 It was a wintry morning in January 1981 when seven of us sat in my apartment, and created Infosys. We had lots of hope, confidence, commitment, energy, enthusiasm, hard work, passion and a sense of sacrifice. We were short of one thing, money. We managed to put together just $250 in seed capital. We never dreamt about size, revenues and profits. Our dream, right from day one, was to build a corporation that was, above all things, respected. From the beginning, our team was unique in our commitment to a strong value system. We believed in putting the interest of the company ahead of our own interest. We believed in legal and ethical business. We believed in respect and long-term gratification. And each of us brought complementary strengths to the company. To me, entrepreneurship is a marathon. I believe that the key to a successful corporation is longevity ï¿½ my heroes are companies like IBM, Levers, and GE. These firms have shown growth in earnings quarter after quarter, for a long time. Infosys itself has seen consistent growth in revenue and profitability for over 49 quarters, since it got listed in India. We have institutionalized performance and accountability in our systems and processes, and through the empowerment of our employees. Let me talk about some of the generic lessons we have learnt. The name of the game is: predictability of revenues; sustainability of the prediction; profitability; and a good de-risking model. Measurement is key to improvement. A sound value system is what differentiates long-term players from others. Putting the corporation's interest ahead of personal interest will advance personal goals in the long term. No single person is indispensable. It is important that you give challenging engagements to deserving people, whether they are young or new in the organization. Youth and empowerment are the keys to scalability and longevity. Every situation is what you make it to be. Confidence is half the battle, and leadership is making the impossible look possible. Speed, imagination and excellence in execution are the only three context-invariant and time-invariant attributes for success. The trust of employees is the most important ingredient for successful leadership. To gain the trust of people, there is no more powerful leadership style than leadership by example. The world respects performance and action, not rhetoric. It is better to obsolete our own innovations, rather than allowing our competitors to do it. A healthy sense of paranoia and respect for competition is an absolute must for success. It prevents complacency, and ensures that the organization is learning continuously. The ultimate test for customer satisfaction is making our customer look good in front of his / her customer. I have realized that if you want to look smarter, you must surround yourself with people smarter than you. Everybody needs incentives to perform. Money is not the only motivator; respect, dignity, fairness and inclusiveness are essential to get the best out of employees. Every employee must feel an inch taller when talking about the company. Being transaction-oriented in every decision avoids groupism. An emphasis on meritocracy and data-orientation enhances the confidence of employees in the fairness of the corporation. We believe in the adage, In God we trust, everybody else brings data to the table. To retain the trust of your investors, it is better to under promise and over-deliver. Investors understand that every business will have ups and downs, and want us to level with them at all times. They want us give them bad news pro-actively and as early as possible. Therefore, When in doubt, disclose. We have realized that we should never take any decision with the stock price in mind. The day we do this, we will ruin the company. Finally, we have realized that we can shortchange investors if we want to make Rs 1 crore (Rs 10 million), but if we want to make Rs 1,000 crore (Rs 10 billion), we have to play the game straight and honest. We have realized that longevity requires that we follow every law of the land, even if we do not agree with it. We should work hard to change laws that hurt the progress of the corporation. Unless we make a difference to the society and earn their trust, we cannot be long-term players. Therefore, in everything we do, we must ask ourselves whether we are adding value to the society around us, regardless of where we are -- US or India. What do I want to see this company achieve in the next 25 years? I want this to be a place where people of different races, nationalities and religious beliefs work together, in an environment of intense competition but utmost courtesy and dignity, to add greater and greater value to our customers, day after day. Just like we have received respect in India, I want Infosys to be the most respected company in every country that it operates. We have an extraordinary leader in Nandan (Nandan Nilekani, Infosys CEO), a man of great vision, values and dynamism. He is ably supported by the best management team and professionals in the industry. We have a depth of leaders within the organisation, with over 500 leaders being part of our leadership training and mentoring programme. The de-risking strategy at Infosys ensures that there is a backup for every position, and that decision-making is participatory across the company. In other words, it is not one person, but a team that looks at every decision. Thus, at Infosys, it is the leadership of ideas and meritocracy that drives every decision. Every decision is supported by a strong portfolio of systems, processes and technology. The value system of the company is time and context invariant. We will continue to have the mindset of a small company even as we grow and scale. Finally, and most importantly, I see youth, the feel-good factor and confidence around me. This is why I am confident Infosys will continue to serve the society as a long-term player. The stock prices of leading Indian tech companies have been battered in recent weeks. Investors are skittish over rising inflation and higher interest rates that could tap the brakes on growth globally. But there's no sign India's companies themselves are losing strength. Indeed, Infosys Technologies, Tata Consultancy Services , Wipro , and others continue to disrupt the $600 billion global tech-services industry. Infosys said on April 14 that per-share earnings in the current quarter would rise as much as 27% on a sales increase of as much as 33%. With that as a backdrop, N R Narayana Murthy the founder and longtime chairman of Infosys, stopped in New York on June 15 on something of a farewell tour. After 25 years at the helm, he's stepping out of his executive role and handing the baton to the next generation of leaders. You started Infosys and built it to what it is today. Why have you decided to retire from your role as executive chairman? I set the rule that we should all retire at 60 so we can give opportunities to younger people to play a role in shaping the future of the company. I believe in the power and importance of youth. I gave up my CEO position four years ago so Nandan Nilekani could become the CEO. He will continue in the CEO role. Until now, both of us were running the company. Now I'll become the non-executive chairman, primarily responsible for managing the board, for governance functions. I won't be involved in running the company in an executive capacity. When you look back on the early formative days of the company, did you ever imagine that Infosys would become such an important company in the worldwide tech industry? No, not really. We started out as seven people in 1981, with $250. We had just one customer. Last year we closed at $2.5 billion. We have 52,000 employees and a market cap of about $20 billion. We never imagined we would come this far. However, we were certain of one thing, and that is our value system. In fact, when we sat down in the bedroom of my apartment in 1981, we discussed for four hours what our objective should be. Should it be revenues, profits, market capitalization? No, we said it should be none of those. We will seek respect from every one of the stakeholders. My view was if we sought respect we'd automatically do the right thing by each of them. We'd satisfy our customers, be fair to our employees, and follow the finest principles with respect to investors, we would not violate laws, and, finally, we'd make a difference to society. And then, I said, automatically you'll get revenues and profits and all that. Why have Infosys and the other leaders of the Indian tech industry had such a dramatic and powerful effect on the worldwide tech industry? It is simply because we are becoming more and more relevant to our customers and we are having greater and greater impact. Why? For two fundamental reasons. We have helped our customers reduce the cycle time in designing and implementing new systems that reflect the changing marketplace and the new business rules. By reducing cycle time, we have ensured that the people in the corporation that use these IT systems are that much more enthusiastic about the flexibility of the corporation to keep pace with the changes in the marketplace. Earlier, what was happening was it took three or four years to implement a system and there was a low level of probability of success. Because of the high level of programming talent in India, because of our focus on process excellence, and because of the power of leveraging the 24-hour work day, we have been able to take up large projects and complete them with reduced cycle time with the requisite quality. The second thing we have done is we're able to give more value for money. Both of these things matter a lot. Your success is having a dramatic impact on the $600 billion tech services industry-compressing revenues and margins. Will there be a lot more disruption for that industry? Is still just the beginning? Or are things settling out? The fact that IBM, Accenture, etc have started scaling up their operations in India indicates there's more juice left in this. What we're doing is applying the principle of the global delivery model to activities that people thought were not possible hitherto. For instance, we believe that 35% of the consulting effort can be done in India, such as proposal preparation, presentation preparation, research, and analytics. Similarly, in the case of our business process outsourcing organization, equity research for a major European bank can be done in Bangalore. The bank is getting better value for money, and they're able to compress the cycle time. So, I'd say, the best is yet to come in leveraging the power of India -- both by the Indians and the multinationals. Are the multinationals getting with it now? They have started focusing in the recent past so they're still a few years behind Infosys. I'm sure they'll accelerate. But the fact that they're accelerating will force us to innovate more. Openness to learn: Openness to subordinate your ego to take ideas from others. Second, meritocracy: The best ideas are adopted and implemented using data to arrive at the best decision. Third, speed: Assuring you do things faster compared to yesterday and last quarter. Fourth, imagination: You continually bring better ideas and better innovation to the table. And finally, excellence in execution: That is implementation of these great ideas with a higher level of excellence today than yesterday. I tell my colleagues that there is no guarantee we will be in business five or 10 years from now. The only guarantee is the opportunity for us to use these five attributes. If we embrace them, we'll be in play five and 10 years from now. But the day we forget these, we'll disappear like dew on a sunny morning. In the United States there's a lot of concern about the effect of what the Indian companies are doing on U.S. industry and U.S. workers. Do you have advice for Americans on how to respond to this? I'm a very small person so I don't say I have any advice. However, let me say this: In the last 25 years the concept of globalization has become more and more pronounced. The world is becoming flatter and flatter and flatter. I define globalization as sourcing material from where it is cheapest, talent from where it best available, producing where it is most cost-effective, and selling where the markets are -- without being constrained by national boundaries. Anybody can leverage the power of globalization. It's not the monopoly of one geography. As long as corporations recognize this and leverage the power; if they see the entire globe as their arena and leveraging the best talent for each task from the different geographies; and if they operate as a global enterprise rather than a multinational enterprise, then there is a great future for all of us. What could go wrong for India and the Indian economy? The first is, if we don't improve our infrastructure in the next couple of years, it will be very difficult to be effective as a manufacturing nation. The software industry may create jobs for the educated people, but unfortunately it can't create jobs for the not-so-educated people. That's where manufacturing comes in. If we don't improve the infrastructure, we won't be able to create jobs for the less-educated people. And that will create a strong negative current of dissatisfaction in the country. It could have profound effects. The second area where there could be impact is on globalization. There is so much discussion on the small number of jobs that have been lost in the U.S. because of Indian companies. But the effect of globalization in India has been much larger. For instance, we had our own auto industry. The cars were not very good. But, still, they were being made in India. Today, we have GM, Toyota , everybody and his brother in India assembling lots of cars. Many of these companies import parts from other countries. As a result, the opportunity for job creation has not been as much as if the parts were made in India. Similarly, we had our own computer industry. They were not the best. But our people were producing them. When the famous computer companies came to India, we lost a lot of jobs. The same happened with the global soft drink companies. Probably 2 million or 3 million Indians have lost their jobs. So, do you keep all the multinationals out of India. Or, because 250 million middle-class Indians have benefited, do you embrace it? My view is we should embrace these global corporations, we should accept globalization, because it has benefited the large majority. Now, maybe I have contrarian views. As globalization becomes more pronounced, if we're not able to create more jobs for the less-educated people, we could then say globalization has not worked. People are saying that in the U.S. already, even though the data says something else -- that corporations are becoming more efficient and nimble and able to compete in other countries better. The same thing could happen in India. 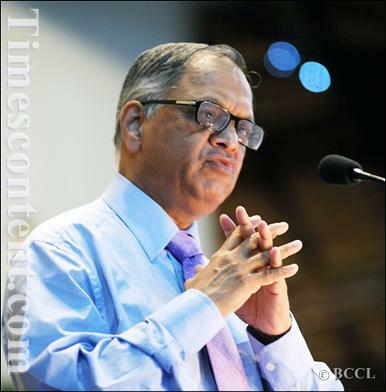 N R Narayana Murthy , Chairman of the Board and Chief Mentor, Infosys Technologies, outlines the key ingredients to building a great company and the role of 'compassionate capitalism' in society. 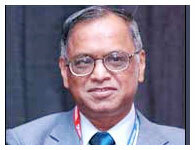 Narayana Murthy is a co-chair of the Annual Meeting of the World Economic Forum at Davos, Switzerland. Leadership is about raising the aspirations of followers and enthusing people with a desire to reach for the stars. For instance, Mahatma Gandhi created a vision for independence in India and raised the aspirations of our people. Leadership is about making people say, 'I will walk on water for you.' It is about creating a worthy dream and helping people achieve it. A leader has to raise the confidence of followers. He should make them understand that tough times are part of life and that they will come out better at the end of it. He has to sustain their hope, and their energy levels to handle the difficult days. The leader has to create hope. He has to create a plausible story about a better future for the organisation: everyone should be able to see the rainbow and catch a part of it. This requires creating trust in people. And to create trust, the leader has to subscribe to a value system: a protocol for behavior that enhances the confidence, commitment and enthusiasm of the people. Compliance to a value system creates the environment for people to have high aspirations, self esteem, belief in fundamental values, confidence in the future and the enthusiasm necessary to take up apparently difficult tasks. Leaders have to walk the talk and demonstrate their commitment to a value system. As Mahatma Gandhi said, 'We must become the change we want to see in the world.' Leaders have to prove their belief in sacrifice and hard work. Such behavior will enthuse the employees to make bigger sacrifices. It will help win the team's confidence, help leaders become credible, and help create trust in their ideas. Trust and confidence can only exist where there is a premium on transparency. The leader has to create an environment where each person feels secure enough to be able to disclose his or her mistakes, and resolves to improve. Good corporate governance is about maximising shareholder value on a sustainable basis while ensuring fairness to all stakeholders: customers, vendor-partners, investors, employees, government and society. A successful organisation tides over many downturns. The best index of success is its longevity. This is predicated on adhering to the finest levels of corporate governance. At Infosys, we have consistently adopted transparency and disclosure standards even before law mandated it. In 1995, Infosys suffered losses in the secondary market. Under Indian GAAP (generally accepted accounting principles), we were not required to make this information public. Nevertheless, we published this information in our annual report. Transparency about the organisation's operations should be accompanied by an open environment inside the organisation. You have to create an environment where any employee can disagree with you without fear of reprisal. In such a case, everyone makes suggestions for the common good. In the end everyone will be better off. On the other hand, at Enron, the CFO was running an empire where people were afraid to speak. In some other cases, the whistle blowers have been harassed and thrown out of the company. We have gone towards excessive salaries and options for senior management staff. At one company, the CEO's employment contract not only set out the model of the Mercedes the company would buy him, but also promised a monthly first-class air ticket for his mother, along with a cash bonus of $10 million and other benefits. Not surprisingly, this company has already filed for bankruptcy. Accountability with respect to linking compensation with corporate performance. Thus, the compensation should have a fixed component and a variable component. The variable component should be linked to achieving long-term objectives of the firm. Senior management should swim or sink with the fortunes of the company. Senior management compensation should be reviewed by the compensation committee of the board, which should consist only of independent directors. Further, this should be approved by the shareholders. I've been asked, 'How can I ask for limits on senior management compensation when I have made millions myself?' A fair question with a straightforward answer: two systems are at play here. One is that of the promoter, the risk taker and the capital markets; and the other is that of professional management and compensation structures. One cannot mix these two distinct systems, otherwise entrepreneurship will be stifled, and no new companies will come up, no progress can take place. At the same time, there has to be fairness in compensation: there cannot be huge differences between the top most and the bottom rung of the ladder within an organisation. A well run organisation embraces and practices a sound Predictability-Sustainability-Profitability-Derisking (we call this the PSPD model at Infosys) model. Indeed, the long-term success of an organisation depends on having a model that scales up profitably. Further, every organisation must have a good derisking approach that recognises, measures and mitigates risk along every dimension. Strong leadership in adverse times helps win the trust of the stakeholders, making it more likely that they will stand by you in your hour of need. As leaders who dream of growth and progress, integrity is your most wanted attribute. Lead your teams to fight for the truth and never compromise on your values. I am confident that our corporate leaders, through honest and desirable behaviour, will reap long-term benefits for their stakeholders. In conclusion, keep in mind two Sanskrit sentences: Sathyannasti Paro Dharma (there is no dharma greater than adherence to truth); and Satyameva jayate (truth alone triumphs). Let these be your motto for good corporate leadership. Later, I will share the deeper life lessons that I have learned. My sincere hope is that this sharing will help you see your own trials and tribulations for the hidden blessings they can be . The first event occurred when I was a graduate student in Control Theory at IIT, Kanpur , in India . At breakfast on a bright Sunday morning in 1968, I had a chance encounter with a famous computer scientist on sabbatical from a well-known US university. The next event that left an indelible mark on me occurred in 1974. The location: Nis , a border town between former Yugoslavia, now Serbia, and Bulgaria. I was hitchhiking from Paris back to Mysore , India , my home town. The only passengers in my compartment were a girl and a boy. I struck a conversation in French with the young girl. She talked about the travails of living in an iron curtain country, until we were roughly interrupted by some policemen who, I later gathered, were summoned by the young man who thought we were criticizing the communist government of Bulgaria . On a chilly Saturday morning in winter 1990, five of the seven founders of Infosys met in our small office in a leafy Bangalore suburb. The decision at hand was the possible sale of Infosys for the enticing sum of $1 million. After nine years of toil in the then business-unfriendly India , we were quite happy at the prospect of seeing at least some money. A final story: On a hot summer morning in 1995, a Fortune-10 corporation had sequestered all their Indian software vendors, including Infosys, in different rooms at the Taj Residency hotel in Bangalore so that the vendors could not communicate with one another. This customer’s propensity for tough negotiations was well-known. Our team was very nervous. Third, the customer’s negotiation style was very aggressive. The customer team would go from room to room, get the best terms out of each vendor and then pit one vendor against the other. This went on for several rounds. Our various arguments why a fair price — one that allowed us to invest in good people, R&D, infrastructure, technology and training — was actually in their interest failed to cut any ice with the customer. By 5 p.m. on the last day, we had to make a decision right on the spot whether to accept the customer’s terms or to walk out. All eyes were on me as I mulled over the decision. I closed my eyes, and reflected upon our journey until then. Through many a tough call, we had always thought about the long-term interests of Infosys. I communicated clearly to the customer team that we could not accept their terms, since it could well lead us to letting them down later. But I promised a smooth, professional transition to a vendor of customer’s choice. Subsequently, we created a Risk Mitigation Council which ensured that we would never again depend too much on any one client, technology, country, application area or key employee. The crisis was a blessing in disguise. Today, Infosys has a sound de-risking strategy that has stabilized its revenues and profits. challenges, to learn from criticism and such people reach ever higher levels of achievement (Krakovsky, 2007: page 48). learning from experience, a growth mindset, the power of chance events, and self-reflection that have helped me grow to the present. Back in the 1960s, the odds of my being in front of you today would have been zero. Yet here I stand before you! With every successive step, the odds kept changing in my favor, and it is these life lessons that made all the difference. Do you believe that these events can provide turning points to which you will respond with your energy and enthusiasm? Do you believe that you will learn from these events and that you will reflect on your setbacks ? Do you believe that you will examine your successes with even greater care? Known as "The Bill Gates of Asia," N.R. Narayana Murthy is a founder and now Chairman and Chief Mentor of Infosys Technologies Ltd., a global consulting and IT services company based in India which employs more than 17,000 people worldwide. A billionaire who lives simply in a modest apartment, Murthy frequently speaks out on his belief in the need for corporate social responsibility. India is the fastest growing domestic IT market in the world and is increasingly being used as the "back office" of some of the world's largest companies. Gartner Fellow, Bob Hayward, spoke with Mr. Murthy in Mumbai about India's current and future position in the global IT marketplace. Mr. Murthy, you have likened India to a family of two children: one gifted and the other less privileged. Would you expand on that? There are two Indias — urban India where the child is informed about what's happening in the world and rural India, where the child is hapless, undernourished and uneducated. If we want to solve the problem of poverty in this country, then we have to encourage the gifted child to make the whole family better. 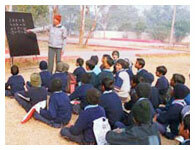 Then it becomes the responsibility of the privileged to make sure the rural child also gets benefits. That's what the politicians must understand both here and in the world. To extend on that, does the government need to be market-driven, or should it be control-driven? I firmly believe that the role of government will have to be limited to areas that affect citizens: defense, monetary policies, external affairs, internal security. Most areas of economic activity must be left to the citizens. However, in rural areas where the market is not developed, the government should provide subsidy to the rural masses by way vouchers which can be used in the marketplace. That way, there will be no corruption. Citizens will have a choice to go to the best player whether it is primary education or healthcare, and this will bring fairness to the system. Which are the technologies and companies in the rich India that can have a beneficial impact on the rural India? I won't name any specific company because that is not fair. I think every company, big or small, has a responsibility to make sure that the benefits of IT percolate down to the masses. This could be done by foundation activities or by helping government develop better infrastructure and facilities. We need to create case studies to show how technology can benefit the masses. For example, Nasscom (India's National Association of Software and Service Companies) conducted an experiment seven years ago when they put a taxi driver in Bombay in touch with his family in Azamgarh, Uttar Pradesh via videoconferencing. The joy on the faces of his family seeing their relative on TV was something that is worth a million dollars. We need to bring the power of IT, by way of new case studies to the attention of people, politicians and bureaucrats alike. Why don't we see tangible benefits from the advancements made in IT by India translating into better infrastructure? I have often said that while portfolio investments are good, they leverage the power of the Indian entrepreneur. We need that, but more important is foreign direct investment which comes as equity or long-term goals. If you want to let FDI into India in a significant way, our people will have to create visible signs of progress to create confidence in our foreign investors, something that China is doing. How important is IT right now in India's development? 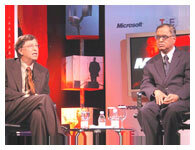 Bill Gates and N.R. 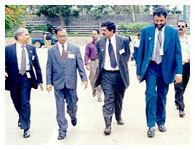 Narayana Murthy at Infosys in Bangalore, India. We all agree that IT reduces cost and time-to-market and improves productivity. Once that is agreed to, there is no doubt that IT has a very important role to play in nation building. We've seen how IT has contributed significantly to improving productivity in the US from 1.4 percent a couple of decades ago to 2.5 percent now. 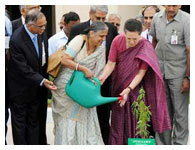 Now, what should get more priority, IT or other instruments of growth? My view is, let the government not put money into this. Let it, instead, make it very easy for FDI to enter the country. As long as we control and are suspicious of what comes in, as we still are, then it's unlikely we will get what we want. 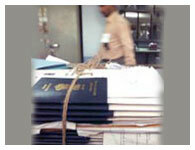 The bottom line is, make it easy for those investments to enter India, in whatever sector there is. Why is the issue of whether foreign direct investment is good for India or not still debated here? Why is it still not resolved? Actually, there are two hilarious concepts in India. One is called MAFA—"Mistaking Articulation For Accomplishment." The second is that when we say, "All is said and done," what we really mean is, "Everything is said and nothing is done." Like it or not, we are a debating society. But just as other countries like Brazil and China have done, we must say enough is enough, and now is time for action. Otherwise, we will continue to a MAFA society. Do you believe in the school of thought that domestic industry is not supported enough and all attention is given to exports? What is your advice to the domestic IT industry in India? Every company tries to maximize its profits and revenue. In the G-8 countries, the opportunity for revenue and profits is much higher than in India, so perhaps the top few IT company here may focus primarily on the export market. But it doesn't matter. I say, let somebody else look at the opportunity in India. We don't have to say that we will focus on the domestic market to the exclusion of the export market. Let a thousand flowers bloom. The right approach would be to let all competent people succeed in all markets, domestic or global. What can "India, Inc." do to embrace IT, something that has not happened as much as in countries such as China? I think it is happening in the last ten years. The Indian enterprises and even the government are embracing IT much more warmly than ever before, and the reason is, competition is increasing. There is a focus on productivity and secondly, democracy is demanding more transparency and accountability from the government. But the difference is that in India, there has to be a different justification for IT-induced automation that reduces the number of jobs in a country with such a large a population. I am of the opinion that every enterprise must operate at the highest level of productivity, which means fewer and fewer people can produce more and more wealth. With better productivity, salaries will increase, workers will have more disposable income that they will spend in the market. In the end, by enhancing productivity, you are actually creating more jobs. It's a myth here that in employing more people and resourcing productivity per worker, we are making the economy better for our citizens. The right way would be to improve productivity. Is the contribution of IT in improving the living standard of a large chunk of the Indian people being recognized as it should be? In the last couple of years, India has done a very good job in IT. But we are still a nation of one billion people, so a million or so working in IT or related areas doesn't get much notice. That's where we need to create better enthusiasm by creating visible signs of growth such as world-class airports and highways. We owe it to our children because we want them to be much more confident about their country. In your interaction with politicians, what do you see are the major challenges in making them aware of the potential of this sector in India? Leadership is first of all about courage. Courage to dream big. Courage to take tough decisions. Second, it is the ability to raise the aspirations of people. Third, it is to be open-minded and accepting of great ideas from different countries and cultures across the world. And fourth, like I earlier said, it is to recognize that there are two Indias — rural and urban — and to work toward the growth of both of them. What needs to be done to bring out that change? Once again, that takes me to what I mentioned earlier — the visible signs of growth. Let me give you an example: When Baby Noor, the two-year-old Pakistani child came to India (for successful open-heart surgery in July 2003), I was happy to see the news splashed across the newspapers. I think we need a few more examples like that. Not only will it change our leaders mindset, it will create confidence in Pakistan. The point is, we need more such signs of growth, like that Nasscom experiment and the fishermen of Pondicherry using data from U.S. satellites to enhance their catch. In every movie theater, if we can show a few of these examples, the common citizen will have confidence in India and will say that India is on the move now. I may be a little pessimistic, but there is a negativism and cynicism in the Indian media that if the IT industry is growing, there must be some problem? You have information I do not, so I can't argue with you. But let me tell you, I was in Delhi and my friend Prannoy Roy (president of NDTV — New Delhi Television — which will soon launch English-language and Hindi news channels in India) took me to his studio. I saw these enthusiastic guys and I was highly impressed. If we use that enthusiasm, we can beat anybody in the world. When a lot of my friends went to IBM, when they set up in India, people said it would be the end for my company. But I said that if I can't fight multinational corporations in India, how can we fight them in their own backyard? These multinationals bring a lot of value to India. With their human resources and other policies, we have to play the game their way. I am very hopeful. Recently, politicians and labor representatives in developed economies are proposing "backlash" laws against Indian IT-based services companies meant to limit the use of offshore development and business process outsourcing. What do you think should be the strategy of the IT industry to address that right now? Globalization is about producing where it is most cost effective, about sourcing capital from where it is cheapest and about selling it where it is most profitable. We should not be constrained by international backlash. A smart journalist in Australia asked me a question at a press conference: "You guys are taking all our jobs to India. You should be thrown out." I told him that I use an LG refrigerator at home in India. I drink Pepsi and Coke though we have our own Indian drinks. I use a GM car when we have a vibrant automobile industry. I use Cisco routers and a Toshiba tablet PC which are imported. So do you think we should throw all these companies out? I gave him the positive side of all this. Prior to 1991, we all felt exactly the same way as that young journalist. Initially, it was a very painful phase for our Indian companies, but at the end of it, we became stronger. At the end of the day, the consumers benefited the most, and even the minority that suffer in the short run will benefit at the end of the day. Where do you see global IT going in the next five years? I think IT will focus more on enhancing productivity in the home. So far we've limited ourselves to enhancing productivity in the workplace. Thanks to increasing computing power, I believe IT will move to ubiquitous computing. Do you think India will move from using existing technology to inventing new technologies? It will happen. Let's remember that the concept of a free market is still new in India. We are not accustomed to leading from the front. We have just 15 years compared to 200 years elsewhere in terms of an industrial revolution. You need to have a little more patience with India, but it will happen. There are indications that IT will be a driving force taking India into the league of developed nations by 2020. What's your vision of what India will be like then? I have great respect for our president, Abdul Kalam, and his vision of making India a developed nation by 2020 is a great one. My view is, IT alone will not be able to do that. We need world-class manufacturing. We need world-class financial services, healthcare, education, etc. Only then can we make progress and become a great nation. IT alone cannot do that. It will definitely be a driver, a case study of India's potential. Whenever I am down, I remember what the late Robert Kennedy once said, which he borrowed from George Bernard Shaw: "Most people see things as they are and wonder why. I see things that never were and say, why not." Once our leaders start with this mindset, the solution is very simple. We have to see beyond the constraint, using it as an opportunity. It's all in the mind.